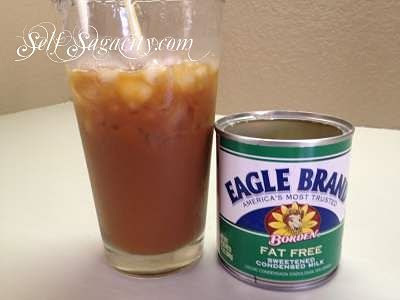 I found a way to have my Cafe Sữa Đá without feeling so guilty about the fat. 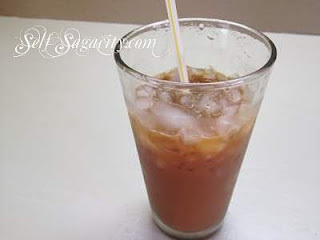 One of Cà Phê Sữa Đá / Vietnamese Ice Coffee main ingredients is condensed milk, and the drink requires at least two table spoons of condensed milk to get the full effect of the thickness and richness of the taste. Although condensed milk is delicious, it will unfortunately add thickness to your waistline too. This coffee Cà Phê Sữa Đá can be addicting like any delicious drink to me, so I had to stop it altogether. But recently sister Koko text-ed that the Borden (green label) condensed milk tastes just like the regular condense milk except it is zero fat, so the light bulb came on. I had to try it with Cà Phê Sữa Đá! And if the label is correct, then I can now enjoy my Vietnamese Ice Coffee without the guilt of consuming fat. 1) Get your favorite coffee, ground it for a carafe press. Or you can buy the real french roast Vietnamese Cao Nguyen Cà Phê. 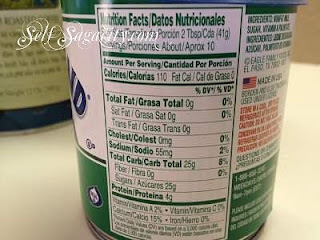 Shown below, the blue lid can. 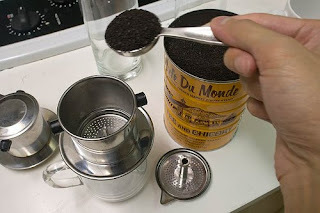 2)Remove the middle filter inside the filter and add 3 tablespoons of coffee. Press the inside part into the filter. 3) Pour boiling hot water until the water level reaches the top of the filter rim. 4) Wait for the coffee to drip down, until there is no more water in the filter. 5) Add 2 to 3 tablespoons of condensed milk. 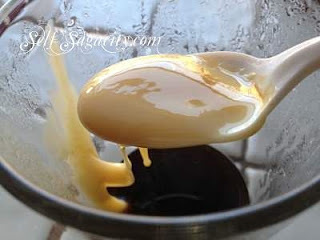 6) Stir in the condensed milk until it completely dissolves. 7) Add the crushed ice and enjoy. Note: some people put the condense milk in first and let it sit before they brew the coffee. I always like to see how my coffee turns out first before I can decide whether I need to add two or three tablespoons of condensed milk. I don't know how cold it is where you are but, I guess for CAians, we have it all year round. This sounds yummy! I love love coffee drinks! My hubby just bought me a Keurig coffee maker for Valentine's day, it makes the perfect cup of coffee. 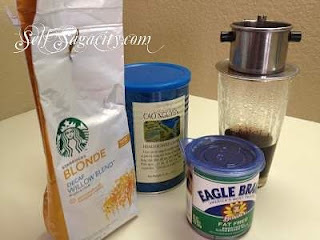 I've actually been using the new Starbuck's Blonde that you have pictured. I'd love to try this recipe. Thanks for posting! I'm stopping by from the Marvelous Monday's hop! I do like the Starbucks Blonde, it is pretty smooth. With this coffee taste though, Peet's Major Dickenson is the better choice. How fun, the Keurig is one of my temptations. I'm not much of a coffee drinker, but this looks delish! Oh, I wish I can say the same. I am a fan of all evils. hmmm, will look into this brand of condensed milk, i hope they did also added more calcium and Vit D, since I found condense milk have lower vit D and calcium content than most 1% milk. I love love Vietnamese coffee, and wish I could have it everyday. They do not have any vitamin D! A question I always wondered. Would it cost a lot more, I wondered? Hmm I'd love to taste that. I learned about the fun of condensed milk when I was a child. I still want to taste it but refrain. Where did you purchase your Cao Nguyen coffee blend? 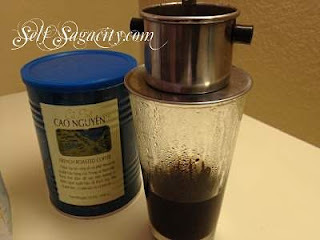 Hi Maria, I purchased the Cao Nguyen coffee at the downtown Asian market, in San Jose. Are you located in California? Let me know and I can send you the address. I'm located in SF if you could please send me the address! Thanks! Supermarket specializing in Asian foods, offering produce, meats, live seafood & cooked fare.